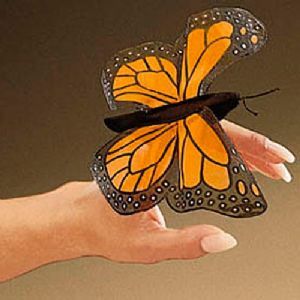 This butterfly finger puppet has a stretchy black body into which you put your finger. Then wave your finger to make the butterfly imitate flight. Soft, sheer, silk-screened orange and black wings give this puppet a very realistic look.